Image: GP Images/Getty Images for TIFF, Nicholas Hunt/Getty Images for MGM Springfield. Design: Allie Gemmill/SheKnows. 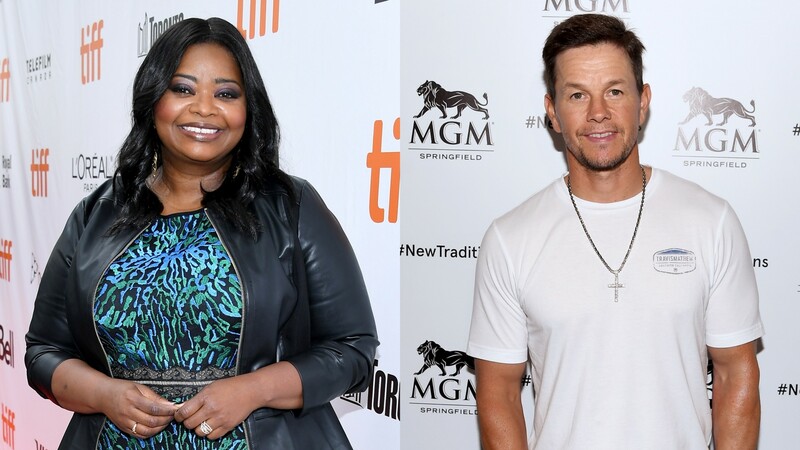 Octavia Spencer is busy transforming her body and improving her well-being, and she’s doing it with the help of a famous friend: Mark Wahlberg. When she decided to kick up her exercise regimen, the acclaimed actor turned to her Instant Family costar. Bonus? She’s been documenting her process via Instagram. Basically, if you need a bit of workout inspo, she’s your woman. Spencer does the work — just ask Wahlberg. In addition to workout videos showing some of the fitness endeavors she's undertaking, Spencer frequently posts aspirational progress pictures. A few days later, she posted a throwback picture to illustrate the difference in her arms. “Posting this picture so you can see the difference in my arms. I was 40 lbs lighter here [than present day],” Spencer wrote, explaining that despite working her upper body “like crazy,” she and her trainer couldn’t seem to vanquish her cellulite. Spencer credits the transformation in large part to Wahlberg and his Performance Inspired supplements — which she keeps on set to combat mindless snacking from the craft table. Of course, the most important part of this journey is how it makes Spencer feel. And these days, that’s confident. During an appearance on The Ellen DeGeneres Show on Wednesday, she playfully discussed her dating life. Hey, we’re not hating the idea of an Octavia Spencer-Brad Pitt romance. Or should we say, Broctavia? We kid. We kid. Regardless, we hope Spencer keeps doing her thing in the gym and on-screen, ‘cause she is steady giving us life over here.